Ho ho ho and deck the halls, Christmas is a’coming! Struggling to know what gluten free Christmas gift to buy for coeliac or gluten free friends and family? Well fear not, this year I’ve searched high and low for the finest gluten free Christmas gifts on offer. No matter what your festive budget, you’ll find something here to suit you. 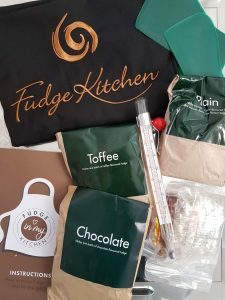 Most of the gifts in this guide are available nationwide and I’ve tried to include a good range of gluten free gift inspiration to satisfy even the most discerning gluten free recipient. 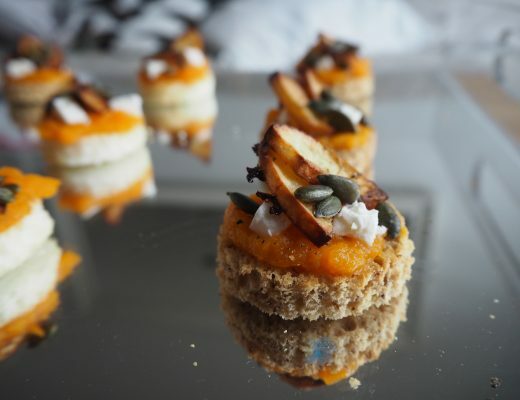 EVERYTHING has been tried and tested by me (it was a good couple of weeks…my waistline might never recover though! ), so you can be assured I rate all of these products highly. Blast out those festive tuuuunes and keep you eyes on the guide for updates in the coming weeks. My search isn’t over yet and I will be adding some more goodies as we get closer to Christmas. 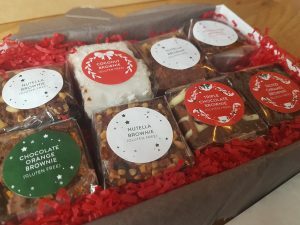 And of course, I would love to hear about your gluten free gift discoveries so please get in touch if you have suggestions. Oh so cuuuute, I want one of these in my Christmas stocking! 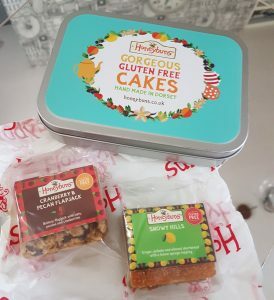 A pretty Honeybuns tin containing two of their delightful gluten free cake minis – a Snowy Hills cake and a Cranberry and Pecan flapjack. A brilliant secret santa gift for coeliacs too. Order at most a couple of weeks before giving your gift, as the cakes have a shortish shelf life. Available nationwide, order online. A festive cocktail syrup mixer, which can be used to make epic mince pie martinis! 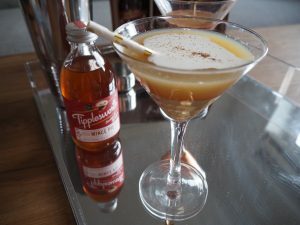 I whipped up a batch at home and everyone was impressed – the syrup is fab in both cocktails and mocktails. 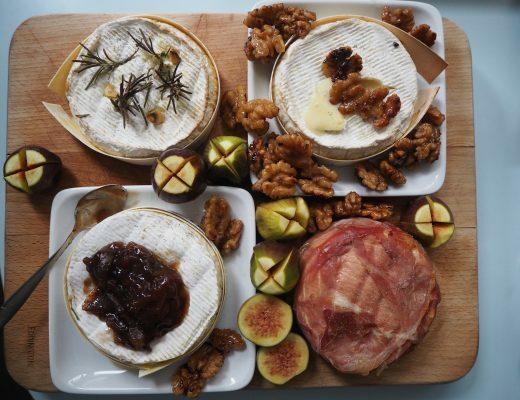 You can also drizzle over festive desserts to boost those Christmassy flavours. This syrup is made with lots of lovely natural ingredients, no nasty fake flavourings, and the quality shines through. Available from Ocado. This tart. I mean. So freaking good. A chocolate millionaire gluten free tart with divine pastry and a mouthwatering filling. 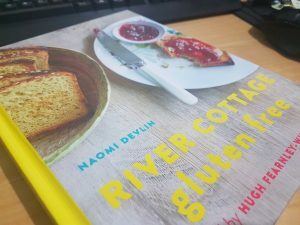 I rate this gluten free cook book really highly and Naomi’s pastry recipes are the best I have tried. Grab a bargain as the hardcopy book is currently available on Book People for £7.99. Naomi also has a more recent book focus on gut health, although I haven’t tried that one out yet it has been recommended to me – here’s a link in case you want to check it out. 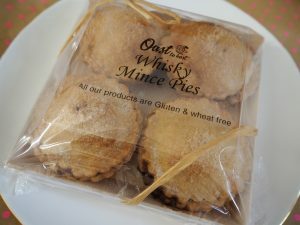 I’m not a mince pie fan but I loved these whisky gluten free mince pies from Oast to Host! They are available in prosecco and gin & tonic varieties too. 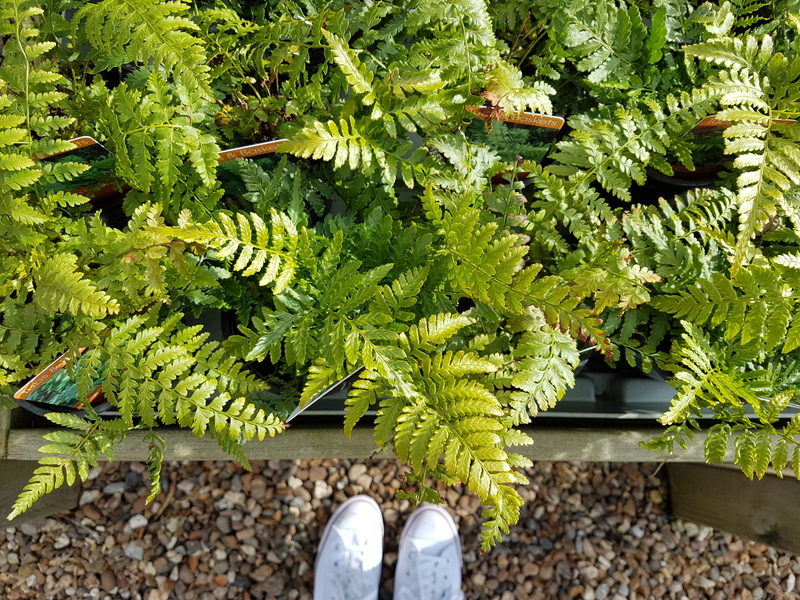 You can buy online through Oast to Host’s website. 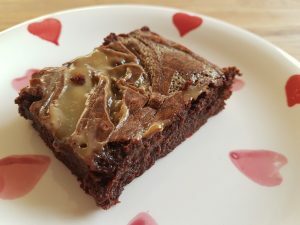 Show some creative flare with your gluten free Christmas gift by baking my decadent salted caramel swirl brownies. They keep well due to the high chocolate content so you can make them up to a week in advance. Slice a batch of brownies and pop into a lined box for a truly thoughtful gluten free gift. Gourmet popcorn in the cutest packaging, yes please! 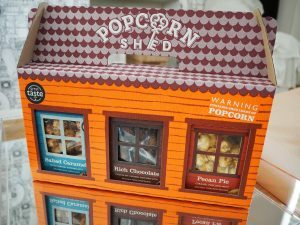 All the Popcorn Shed flavours are gluten free and totally guzzleable. Available nationwide, order online (also available from some retailers). A tasty chutney trio gift set from Rubies in the Rubble, who champion tackling food waste through the use of “ugly” fruit and veg. Try their traditional relish trio or their Christmas trio special. Available nationwide, order online. Also in Waitrose, Ocado, Selfridges, Harrods and Lakeland. 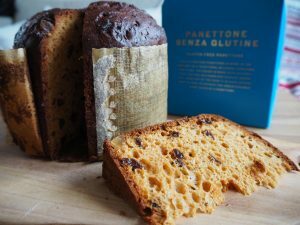 Sky blue and gold packaging encase this panettone from Carluccio’s and I was delighted to find a good gluten free panettone this year. Not only does it look beautiful, it tastes AMAZING toasted with butter for a treat breakfast or afternoon festive snack. Available nationwide in Carluccio’s restaurants. 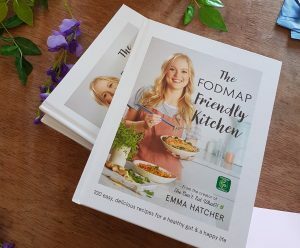 Another lovely gluten free cook book that contains low FODMAP recipes, a great gift for anyone tackling that diet on top of being gluten free. 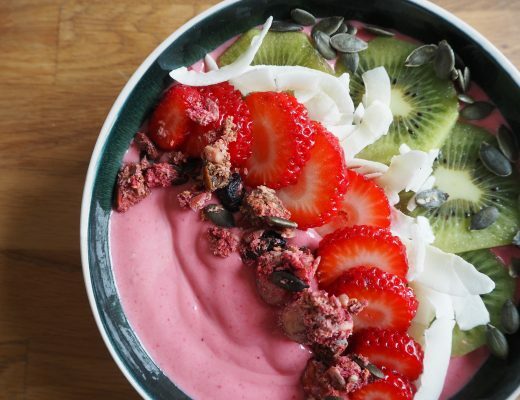 Emma provides lots of easy to make recipes and suggests handy FODMAP-friendly ingredient substitutes. Available through all good book retailers. A fabulous trio of cocktail flavourings, to which you just add your alcohol of choice and mixer (or omit the alcohol to make mocktails). 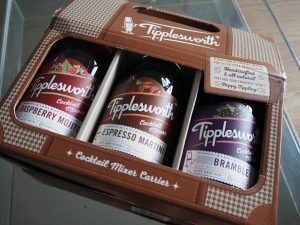 Made from natural ingredients, the range features Espresso Martini, Bramble and Raspberry Mojito mixers. Available from Lakeland. 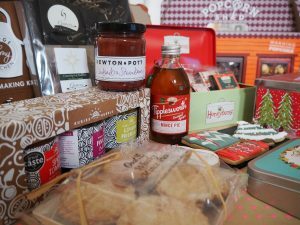 Gemini offer some great dairy free gluten free gift ideas, including this gift selection basket. 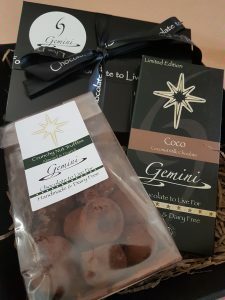 It features their coco milk chocolate bar, box of beautiful hazelnut chocolates and a bag of their nut truffles. Available nationwide, order online from early December (free delivery on orders over £13). Brownies galore with this decadent chocolately box from Sweet Reason. You get eight brownies for your money, each individually wrapped and packaged in a gift box. 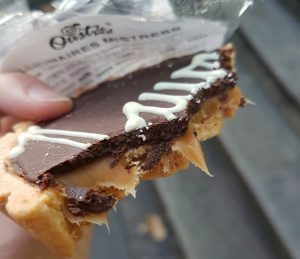 Flavours include Baileys, Triple Chocolate, Honeycomb, Salted Caramel, Chocolate Orange, Coconut, Nutella and Peanut Butter. Available nationwide, order online. 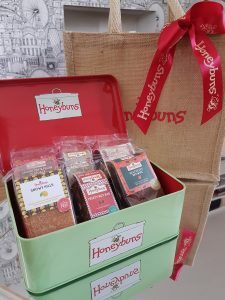 I love this option as it comes with such fab presentation – a Honeybuns tin plus hessian bag with ribbon. You get six full-size gluten free cake bars in the tin, check out their website for flavour details. Order at most a couple of weeks before giving your gift, as the cakes have a shortish shelf life. Available nationwide, order online. You might already be familiar with the spectacularly pretty biscuits that Biscuiteers produce, but did you know they offer a gluten free range too? Well they do and this gluten free biscuit tin is pretty special. 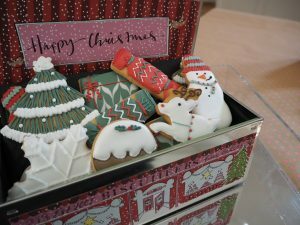 Four layers of perfectly-iced festive gluten free biscuits in a beautiful Christmas tin. The work that goes into these justifies the price and I know anyone would be delighted to receive these! You can choose from all spice, chocolate or vanilla gluten free biscuits. I tried the vanilla and they were super tasty. Available nationwide, order online.